Newfoundlander at Heart: Handmade Goodness Wrapped up in a Giveaway! Handmade Goodness Wrapped up in a Giveaway! Your very own scrappy wallet just like the ones in the picture. Once you win you can make your do and don't requests to me and I'll stitch something up especially for you. It'll be awesome, I promise. A Kids Party Bow of your choice from A Bow for Mama! A $40 shop credit to Knotted Tree Photography! I LOVE that I can help so many small business owners achieve their dreams whether it's paying of extra bills, being a stay at home parent, etc. Handmade is special and unique. 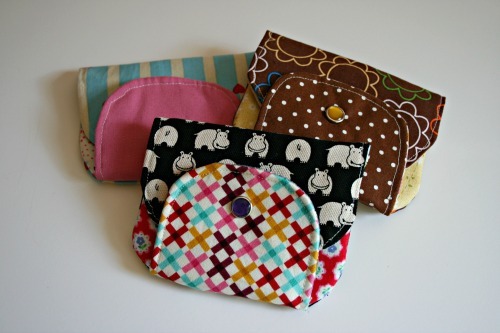 I must confess I already have one Scrappy Wallet from Tara, which I won in a giveaway and I LOVE IT! It's beautiful, useful, light, it's perfect. Handmade items are very special and unique. I must confess I already have one scrappy wallet from Tara, which I won in a giveaway and I must say I LOVE IT. It's beautiful, useful, light... It's perfect! All text & images on this blog are the property of Newfoundlander at Heart unless otherwise noted. Blog design by Girl In Flight.